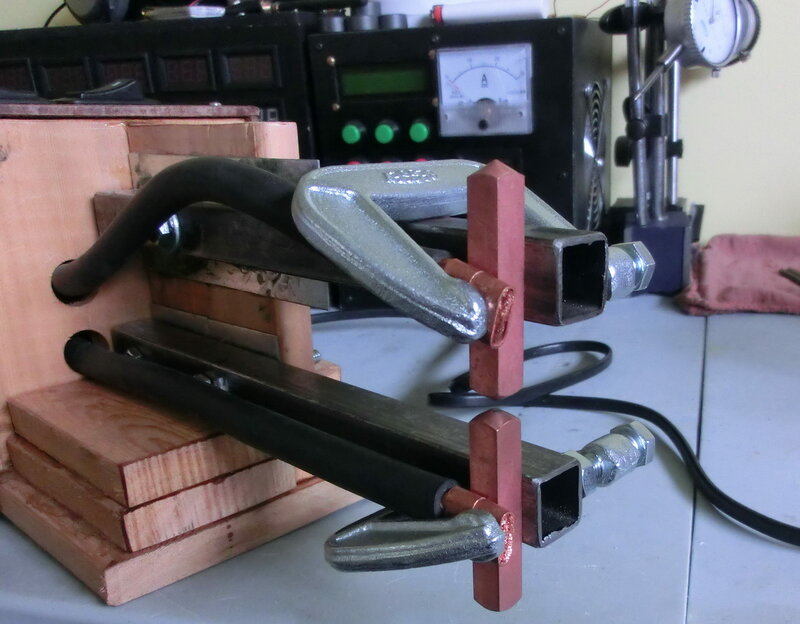 On few occasions when I was making some equipment for oxidizer synthesis I needed to make spot welds but didn’t have the welding apparatus for that. So I decided to make for myself. 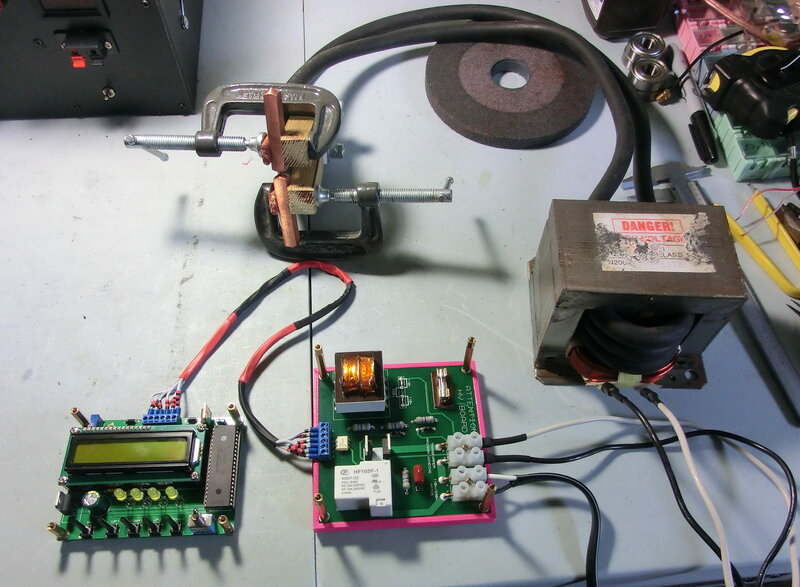 After some research in internet on this topic I finally made a spot welder from an old microwave oven transformer. 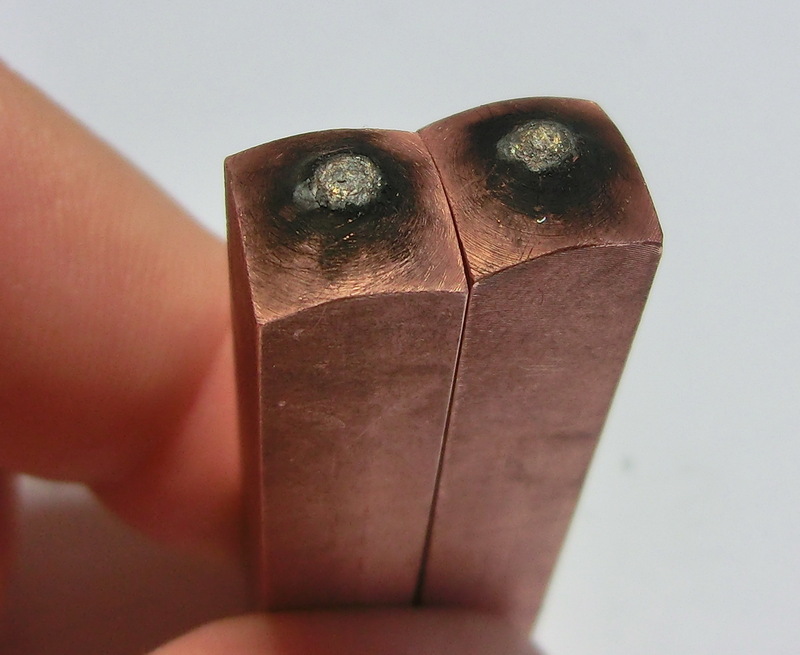 The high voltage part (HV) is based on the one that I found here (http://www.avdweb.nl/tech-tips/spot-welder.html). 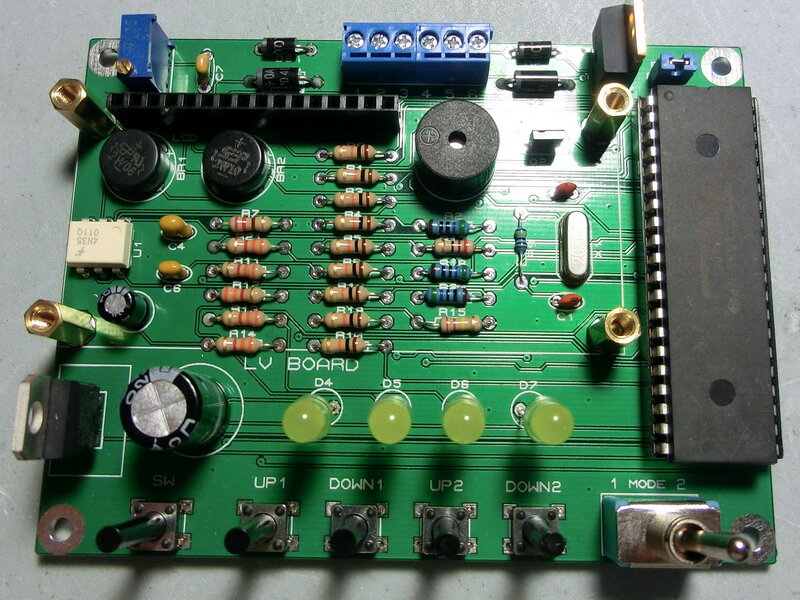 I made a small addition to the schematic by adding a relay that completely switches off and on the power control circuit 200 milliseconds before and after the weld pulse. This is implemented as an extra precaution in case of malfunction or current overload. 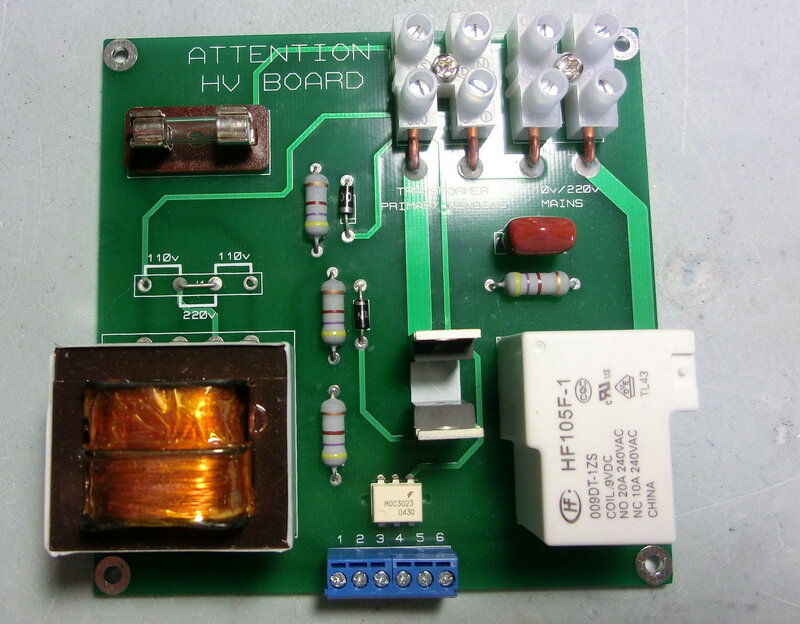 Also the 10v supply transformer for the LV circuit can be switched between 110v and 220v mains thus using its primary windings in a parallel or serial connection to the mains. Once the weld countdown has been started with the button, an audio (buzzer) and visual (4 LEDs) indication will be given every second for 4 seconds, then on the fifth second the weld impulse(s) will be given. 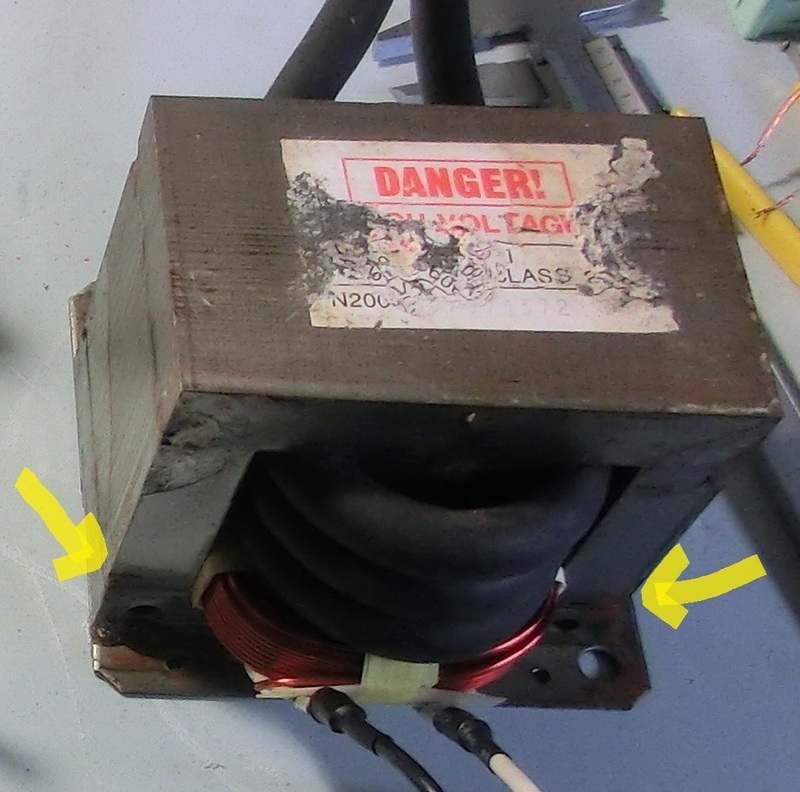 Before starting the weld impulse, the MCU waits for a zero-voltage crossing, once it has been detected the thyristors are switched on with a delay of 4.5msec or close to the peak of the voltage half-wave. 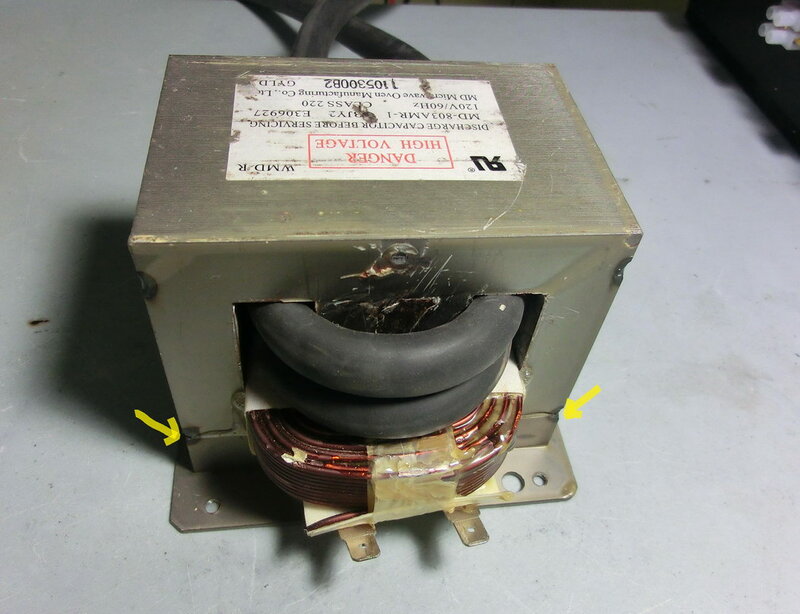 The welding transformers are from a scrapped 1.2kW and 800W microwave ovens where I kept the primary winding and I replaced the secondary with 3 turns 1AWG welding cable. There are numerous videos on Youtube how to remove the secondary winding by cutting it but I disassembled the entire transformer. To do that I grinded off the welds on the both lower sides thus removing the I-shaped part and then carefully I pulled out the both windings. 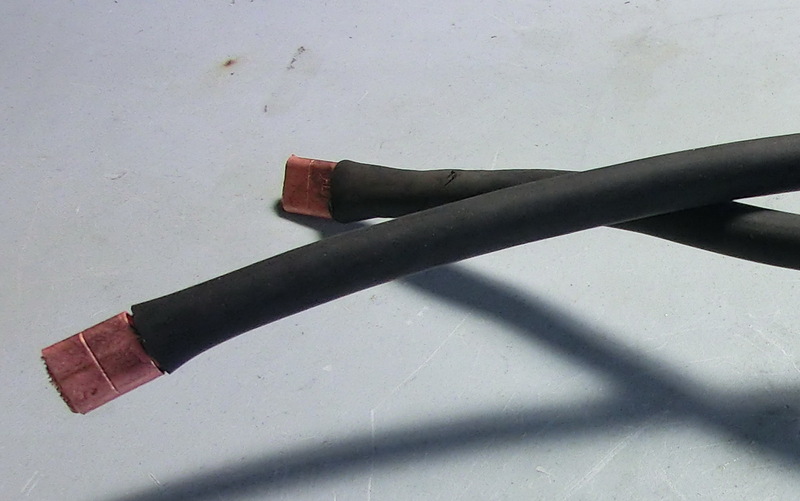 The high current cable is flexible 1AWG, 800 strands welding cable – sold for about 5$ the meter. On the 1.2kW transformer I was able to fit 3 turns and on the 800W transformer 2 turns which gives about 3V and 2V respectively. During a weld I measured a voltage of about ~1V which gives calculated weld currents of about 1200A and 800A. 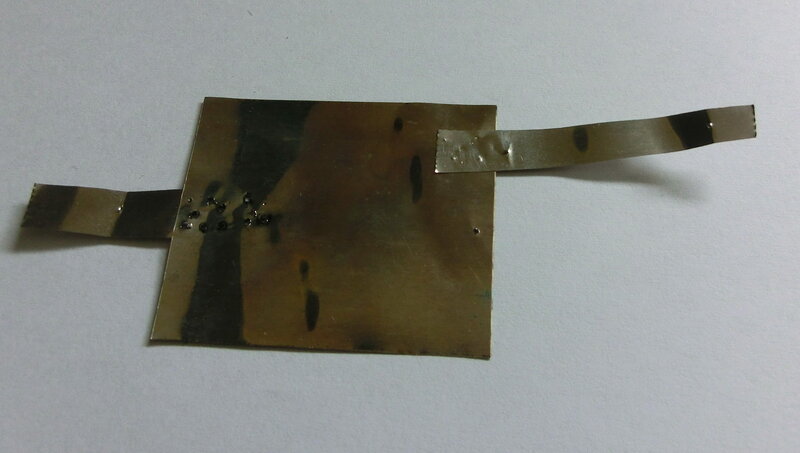 The welding electrodes were provided by friend and they are from a electrical copper power bus. 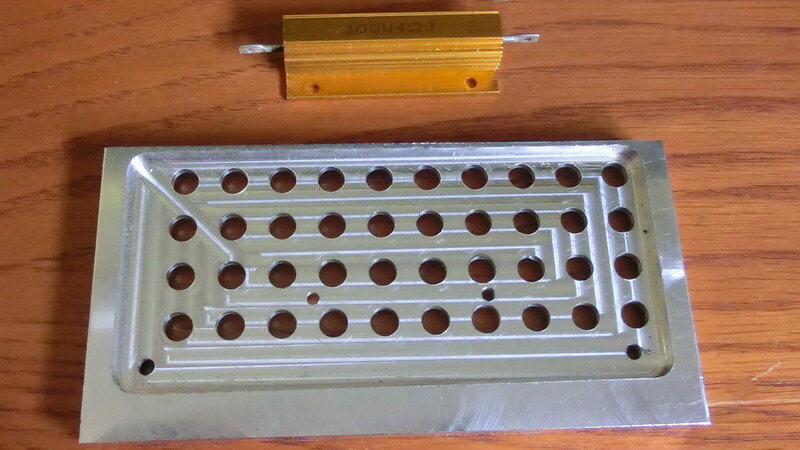 The cross section is square with area 64mm2. The first thing was to make a test assembly. The welding cable needed to be connected to the electrode – so I needed cable shoes or lugs but they are rather expensive. So I went to the plumbing store and took two copper bus connectors with the adequate internal diameter and used them as cable shoe. Further on the high current cable needs to be securely connected to the electrode through a low resistance path. The first thing that came to my mind was to use C-clamps. 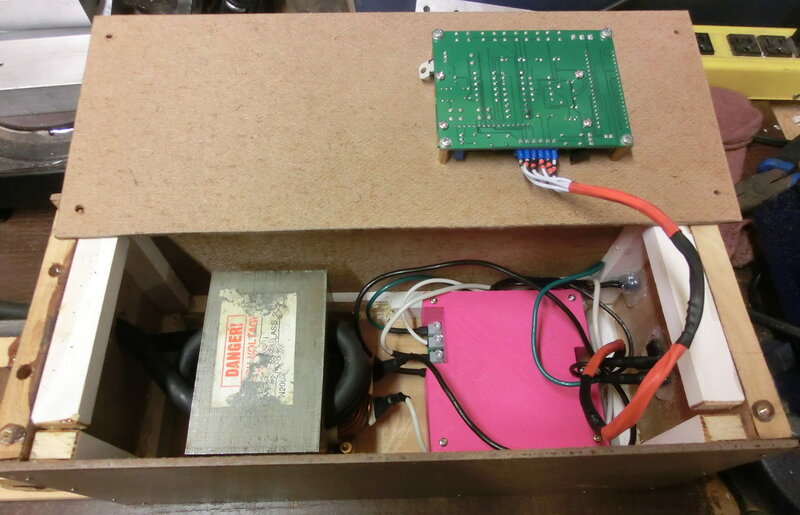 After I confirmed that everything works fine, the next step was to make a final assembly in a wooden box (sort of) and to better align the electrodes. 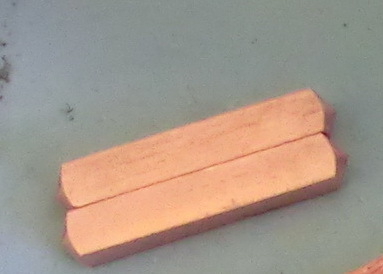 The both electrodes were installed on steel bars. One of the bars is fixed and the other is movable. 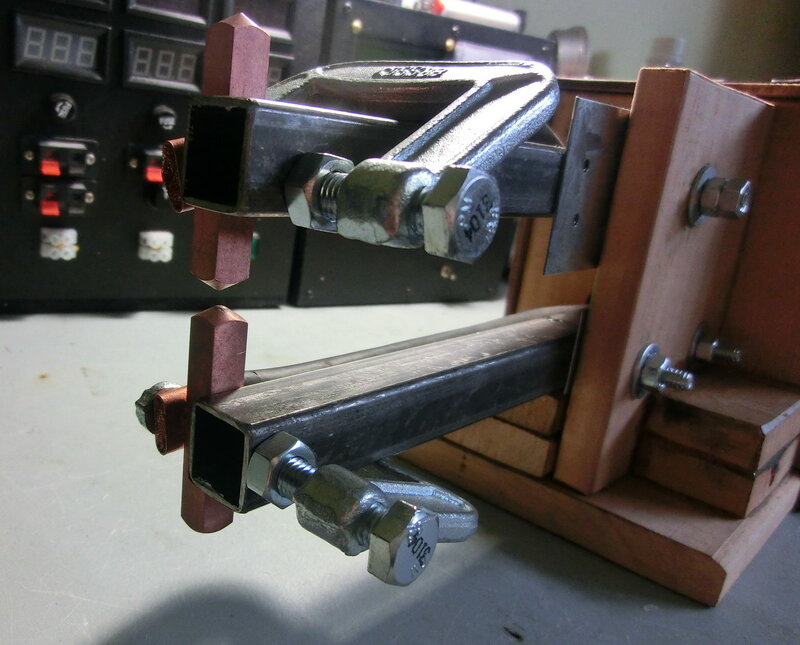 Both bars are installed on a wooden piece and the electrodes are tightened on those bars with small C-clamps. 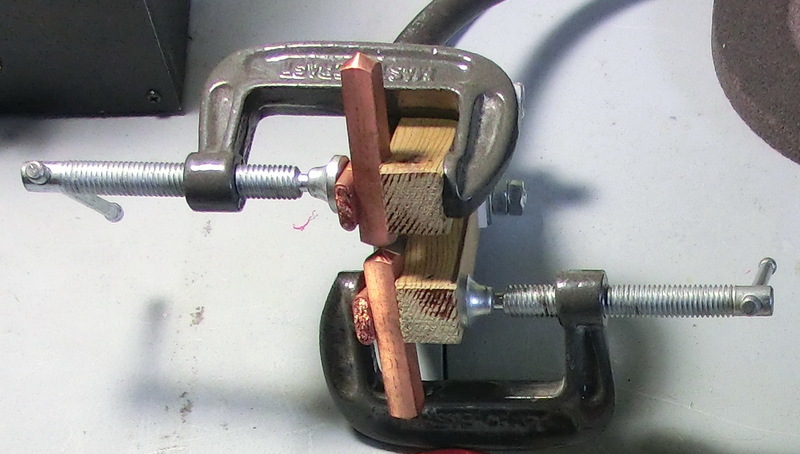 The current on the secondary (welding) winding can be easily limited by limiting the current trough the primary winding by using a power resistor. 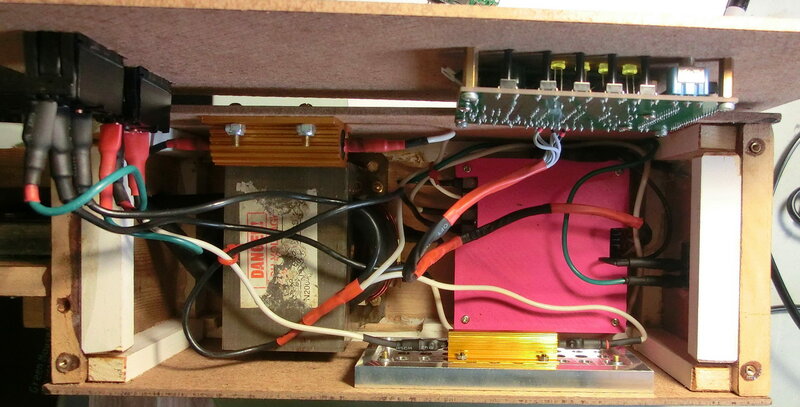 For this purpose I used cheap 100W resistors (values between 4Ohms and 20Ohms are suitable). 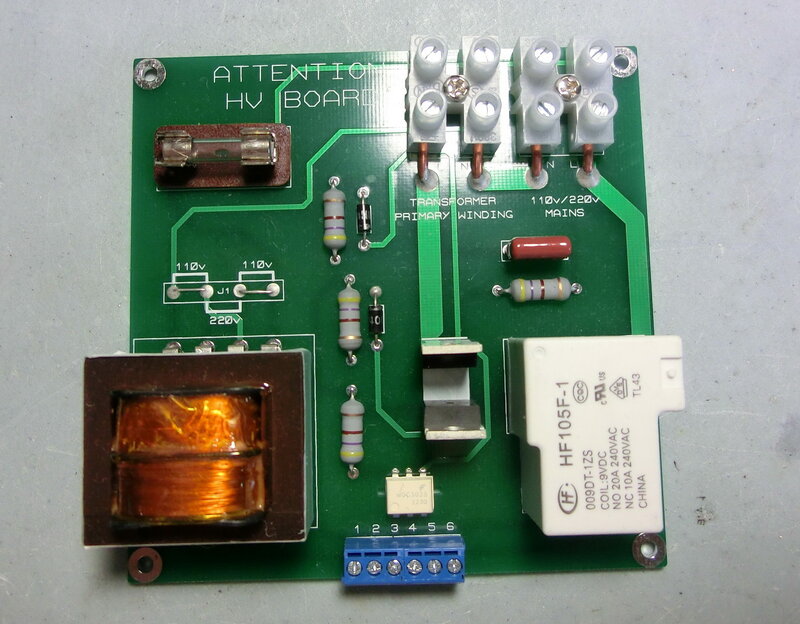 This resistor has to be installed between the primary winding and the output of the HV board. 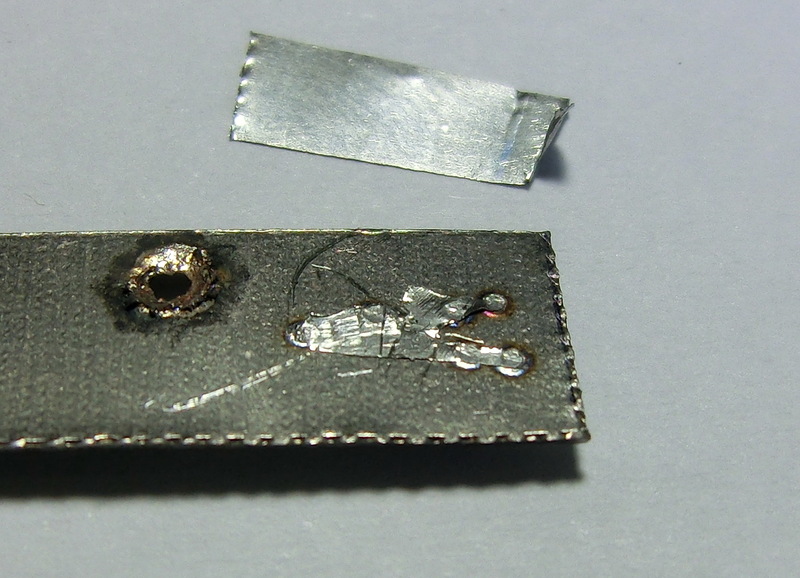 One should keep in mind that these resistors can get hot at heavier duty cycles. So I installed one of the resistors (which will be used more often) on a piece of scrap aluminum to serve as an additional heatsink. Also I installed two 10A SPDT switches so I can chose between three current settings 100% power, 50% power through a 4Ohms resistor and 25% power through a 8Ohms resistor. The purpose of the double impulse welding cycle is that the first impulse (shorter) will soften the material and allow for belter surface contact at the welding spot. The second impulse (usually longer) will finish the weld and will completely fuse the welded materials. On the following video I am welding two 0.5mm titanium pieces and you can clearly see how during the first impulse the material is bending allowing better surface contact and during the second impulse there is almost no further material adjustment. Welding steel to steel is easy once you find the right current power settings and impulse durations. It took me some tryouts to find the correct welding conditions but all-in-all I am very satisfied of the delivered power and the results. 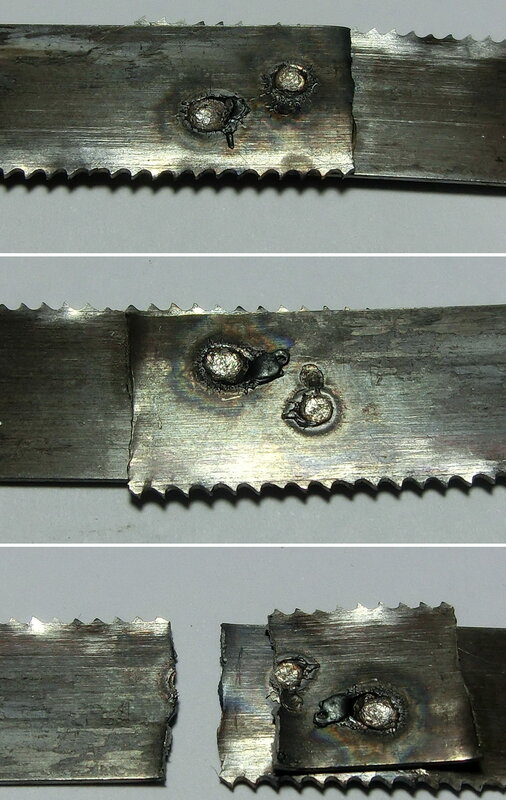 Here are some pictures of burned thin steel sheets and also welded not so thin hacksaw pieces. 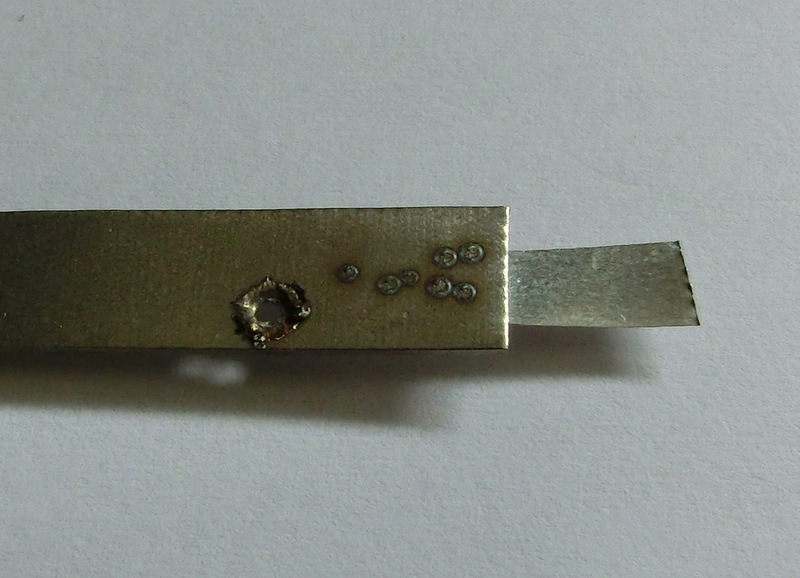 Welding titanium with a spot welder is a bit tricky – it easily burns through with a lot of sparks. 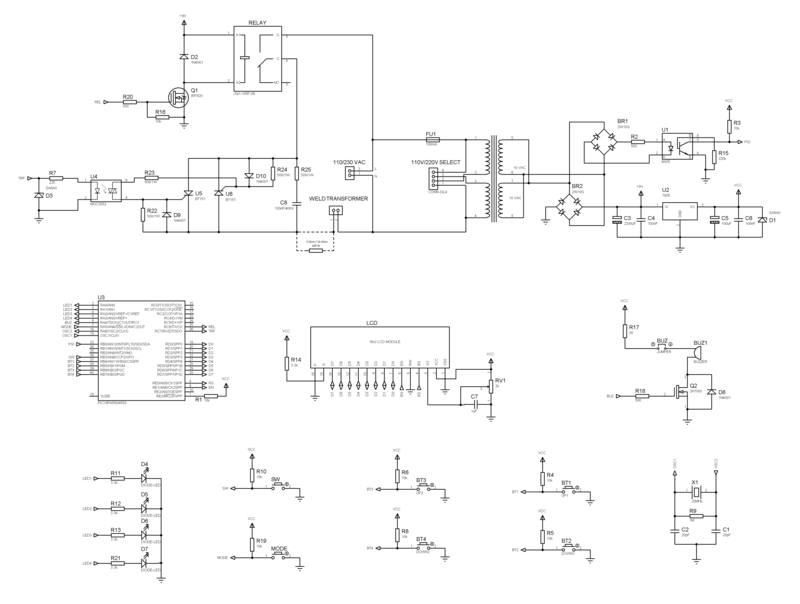 So a reduced current with double impulses are necessary for the purpose. 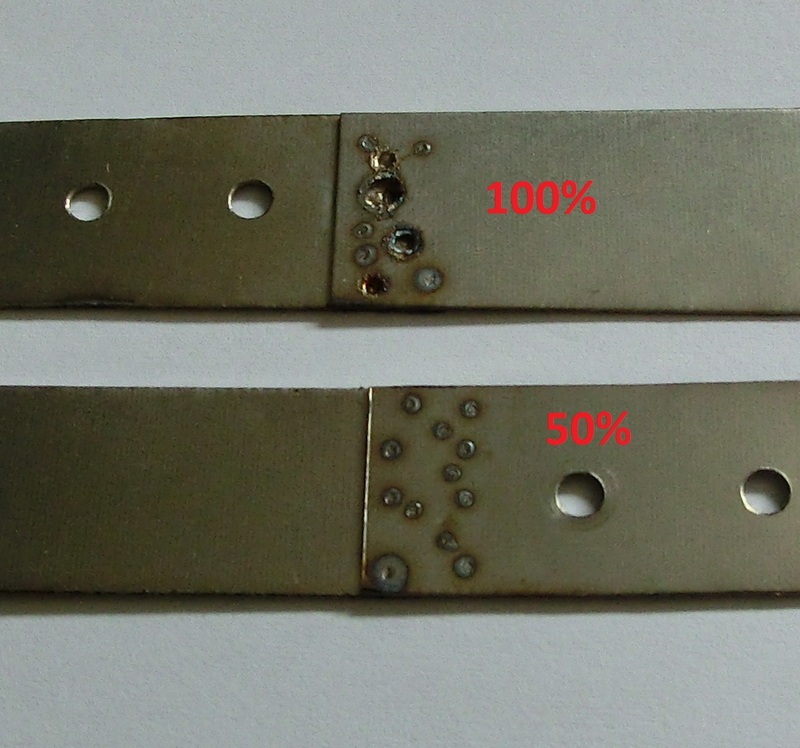 On the picture I compare the welding of two 0.5mm titanium pieces at 100% and 50% power settings. 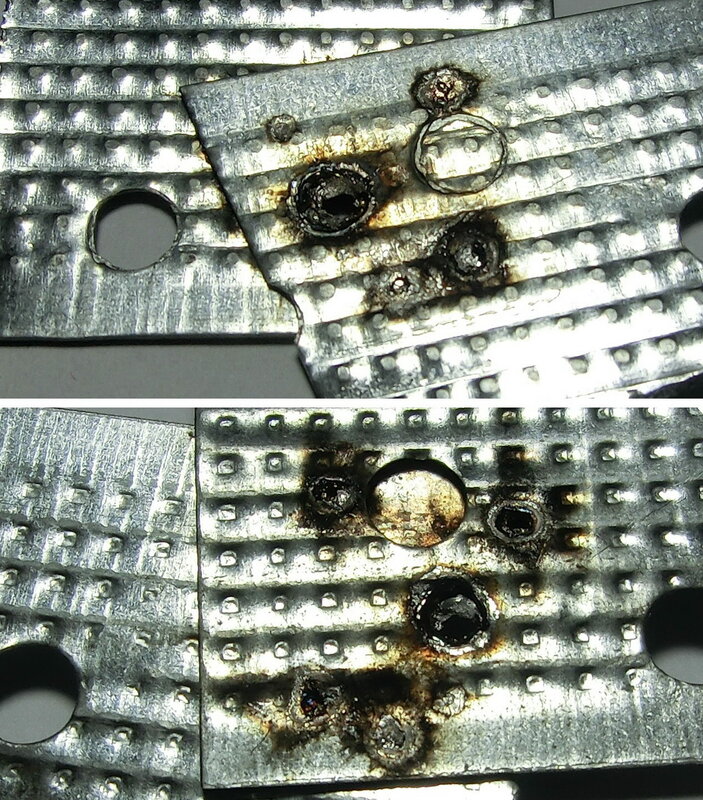 You can notice the burned-through holes in the material. However I was impressed by the strength of the welds as shown on the video. 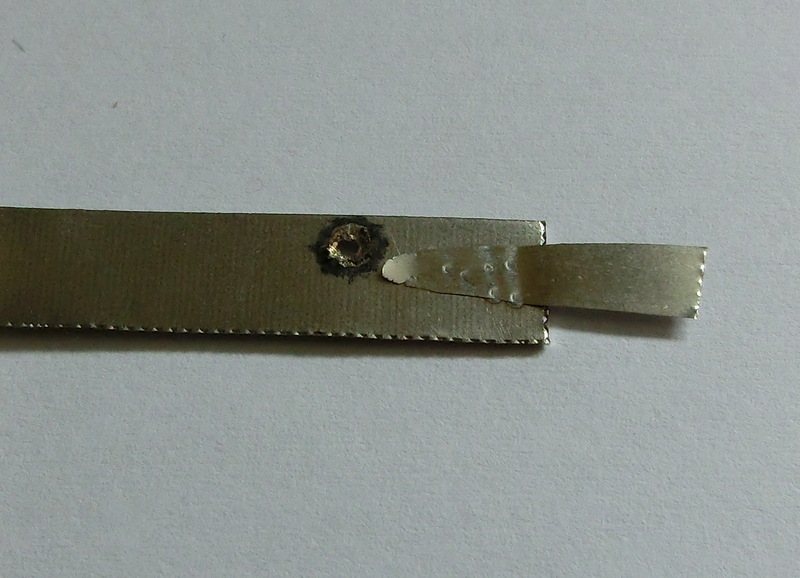 To do this test I used thin platinum foil, which I rolled from a platinum piece. Spot welding platinum to platinum is not easy because it has a quite high melting point. As a consequence the platinum foil tends to fuse with the tip of the copper electrode and when I attempt to remove it I punch a hole in the foil. I had somehow better success with very low current settings i.e. 25% and longer welding impulses. Nevertheless the results are not so impressing. Finally in order to make an electrode for electrolysis I had to weld platinum to titanium. 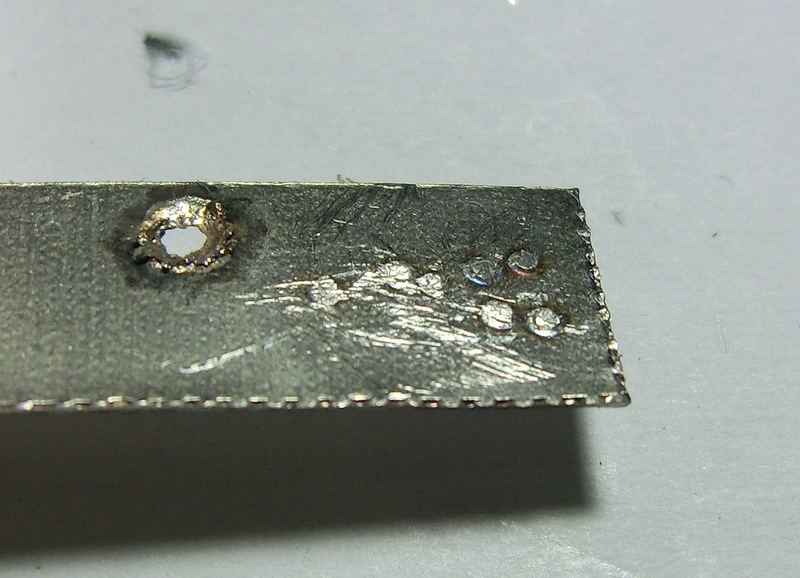 After the problems with the platinum-to-platinum welding I did not have high expectations. But actually surprisingly the platinum welds with no problem to titanium. At 50% current rating and longer double impulses the platinum actually alloys itself with the titanium in the welded spot. On the pictures bellow after welding the platinum to the titanium I tried to scratch off the platinum foil but it was already fused to the base metal in the welded spots and you can see the Pt-Ti alloy. I want to purchase your spot welder .how much it will cost me. 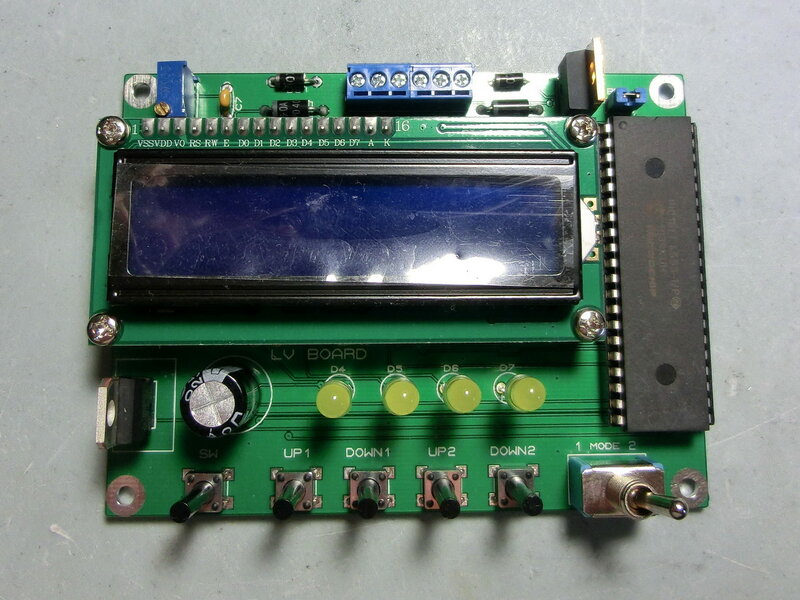 Unfortunately I don’t make kits for sale but you can freely use the attached schematics and firmware.